You see them EVERYWHERE! Aren’t they great? I just love them, because I know that I’ll pick up key information in a memorable way – very quickly. 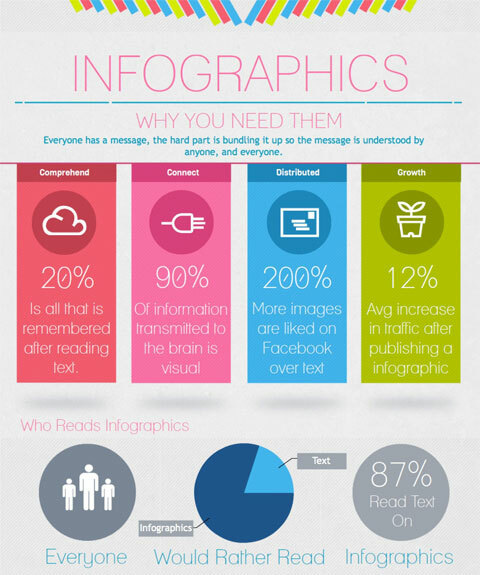 And beyond that, there are many more reasons good marketing includes good infographics. In this post, we’ll discuss why you need them and how to make them. Now put it all on paper. Are you making all the right points, from beginning to end? Does your conclusion flow logically? Is it clear and compelling? Is your design consistent with the message? For example, if you’re presenting a serious case, don’t use bright, happy colors. Good luck. Now come back and share your creations with us!